Increase your workout performance with gamification! Are you desperately in need for some workout motivation? Gamification might help. 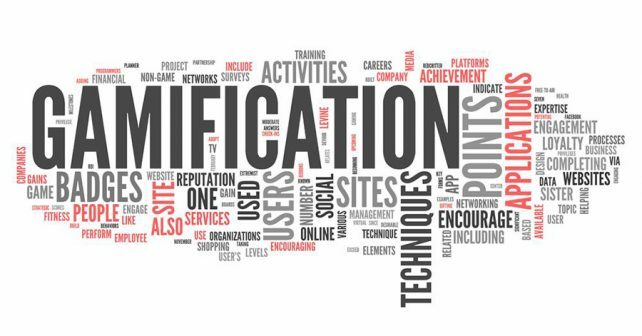 Simply put, Gamification is turning any of your goals into a game to involve your competitive nature into motivation. Think about it – if video games can lure millions into pushing buttons, so can lifting weights. It’s no wonder why athletes are the fittest individuals on the planet – it’s because their workouts are motivated by other things than health – it’s backed by their competitiveness and desire to reach a higher ceiling. Workouts start with a challenge. Are you ready to reinvent yourself? Do you “want it” enough? Some buddies would say that you’d have to do things for at least a month before it becomes second nature to you, but even so – everyone wants it bad enough to reinvent themselves, but there are just times when you’d rather go for a snooze than go for a run. You can’t be competitive without some competition. You can gather up some of your workout buddies and create a fitness league that pits your achievements over theirs. Of course, your progress cannot be measured by someone else’s achievements, but it helps you get motivated to work out more. Start by setting small targets, then move up to more challenging goals. Set your personal and “league-best” in reps/sets, miles in running and biking, or elevation if you’re into mountain climbing. You and your friends would find it fun and competitive knowing that there are other people who have the same goals as you do, and they are living proof that these goals can be achieved by someone just like you. Fitness apps and trackers are hot right now because of workout gamification. Through these apps and trackers, you see a numerical representation of your progress. Working out takes a long time before you can see actual results, and these apps and trackers tell you how progressive you are even when you can’t see results yet in your body. In video games, once you have reached a certain amount of achievements or experience, you level-up – basically you get stronger and closer to your goal, and you get something nice in reutrn. You can apply the same to your fitness goals. Good habits are built with a cue-routine-reward system, and all you need is to create a game that follows that structure. Reward your achievements with something you desire, and do it consistently to make a good habit out of working out. Gamification is just one tool to help you reach your goals. The best motivation is actually seeing results for yourself. See fast results for your muscle gain by using the best supplements for muscle gain. Take one pill of NitroGenix 365 every day to help you get stronger and recover faster.